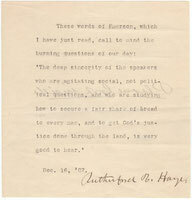 Typed quotation signed “Rutherford B. Hayes”. 1p., 5.5 x 5.75 inch, n.p., 1887 December 16. Signed by Hayes with his rare full signature in dark black ink. 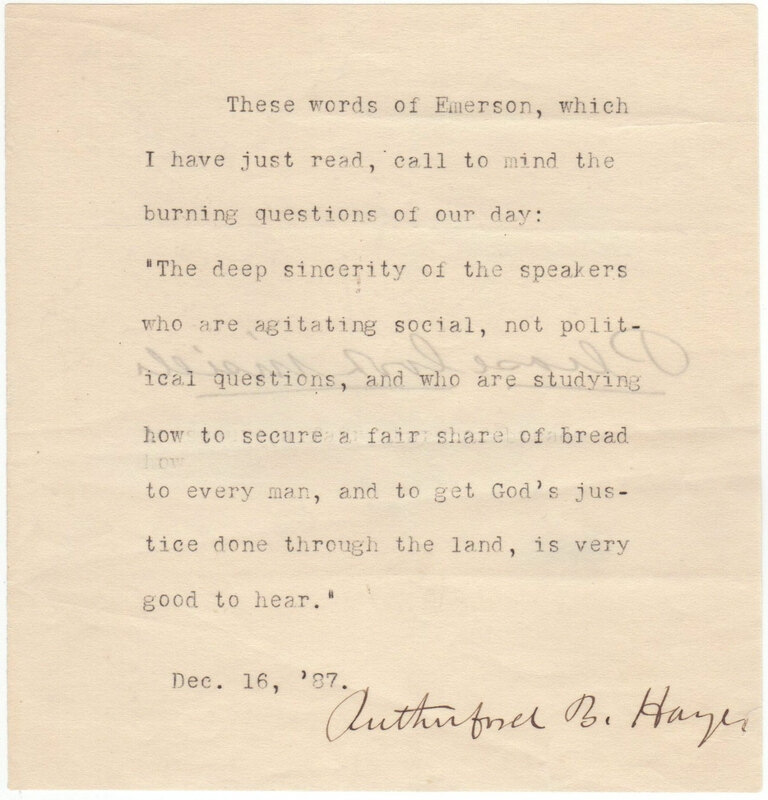 In full: “These words of Emerson, which I have just read, call to mind the burning questions of our day: ‘The deep sincerity of the speakers who are agitating social, not political questions, and who are studying how to secure a fair share of bread to every man, and to get God’s justice done through the land, is very good to hear.’” On verso is written “Please look inside” with light show through on recto, else fine condition. Ralph Waldo Emerson (1803-1882) was an American essayist, lecturer, and poet.